The quaint and picturesque Spanish city of Seville has caught our attention today with its ornate old-world architecture and fame for flamenco dancing. 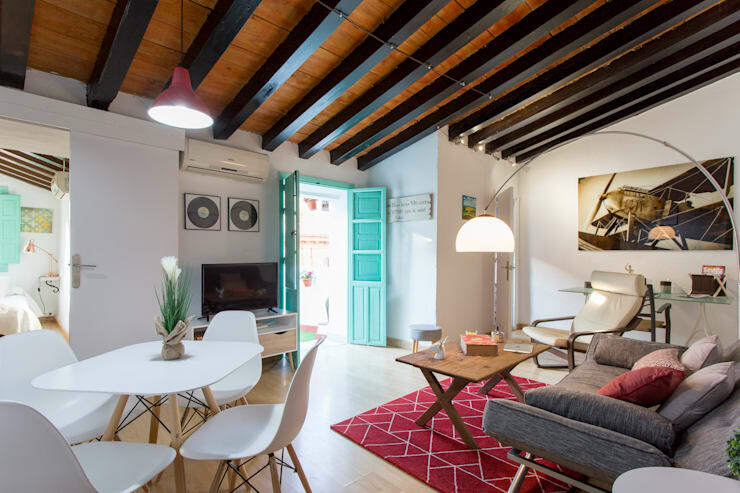 And it is here that we chanced upon the delightful and colourful makeover of Apartamento Salvador, which was once a dated, drab and gloomy place to live in. It lacked basic aesthetics and was hardly a chic and contemporary abode that the urban homeowner dreams of. But before it could be sold, the home needed urgent revamping to make it attractive and inviting. And this was successfully achieved by the creative home stagers at Inuk Home Studio. Now the apartment is a bright and cheerful place filled with trendy furnishing, vibrant hues, artistic accents, and chic decorative touches. It looks as bright as a sunny day and is a must see! 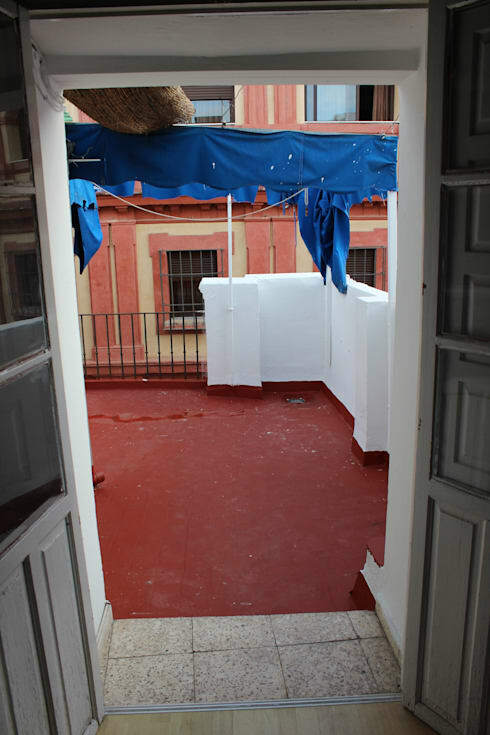 The balcony and terrace were large, but the bad utilisation of space and the lack of coherent design ensured that the area was completely wasted. 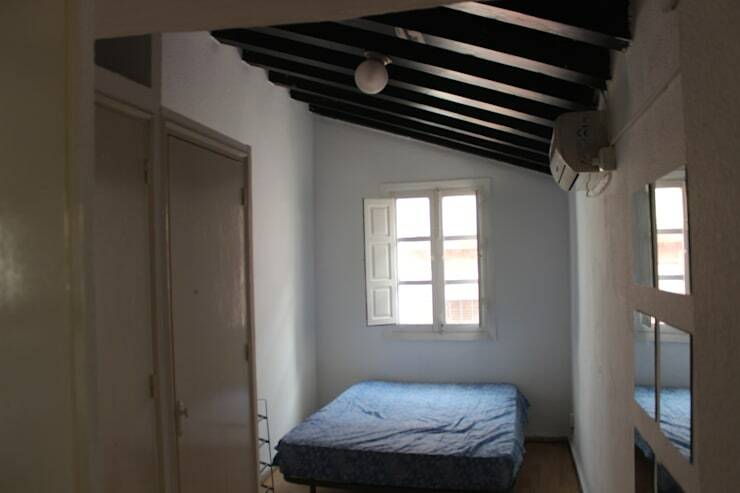 The white boundary walls and the jarring red floor tiles as well as the tattered blue rag hanging listlessly made it seem completely shabby. The dull and dingy bathroom was in need of an urgent update. 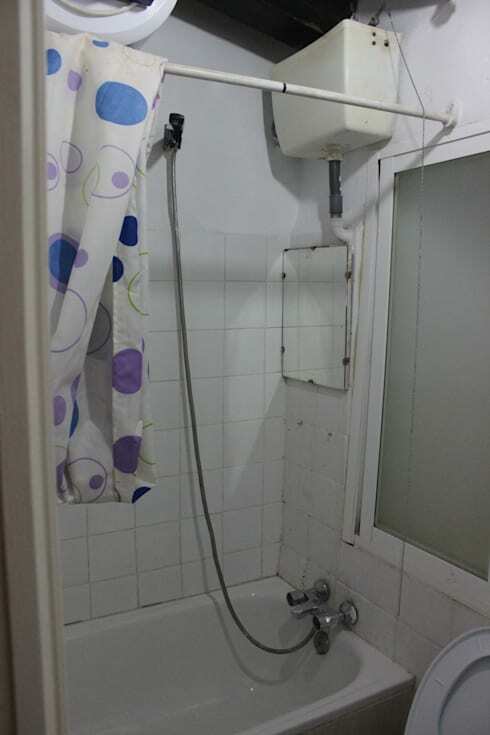 The old shower curtain did not do much for the white environs of the space either, and the placement of the fittings required better design vision. The clinical-looking space promised zilch rejuvenation and appeared extremely gloomy. The bedroom was a lacklustre space with just a bed and wardrobes thrown in together for a functional setting. The window lay bare with no blinds or drapes, and the attic-like space was waiting for the right elements so that its beauty could come alive. 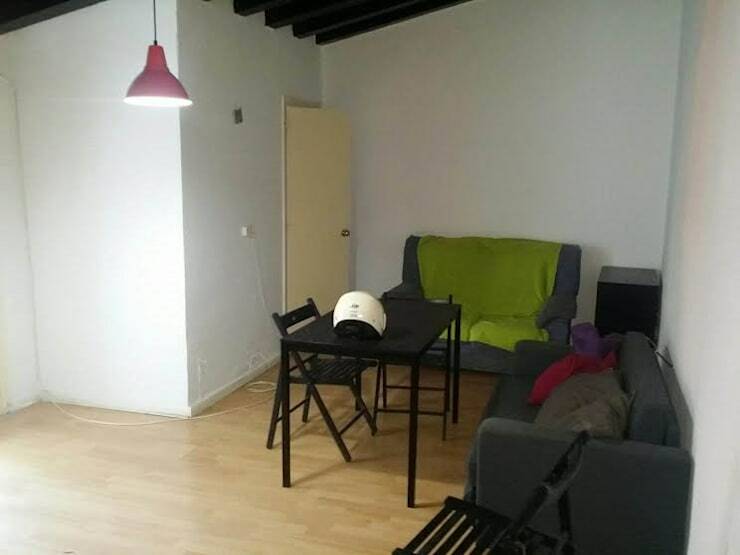 The living room was done up with a combination of colours that did not seem comfortable with each other. The furnishing was unexciting and there was no decor scheme in place. The space offered neither relaxation nor recreation. The terrace has been turned into a vibrant space now with soothing yet cheery colours. The artificial grass floor covering and the sleek wrought iron furniture make this the perfect sit out for that early morning cuppa. 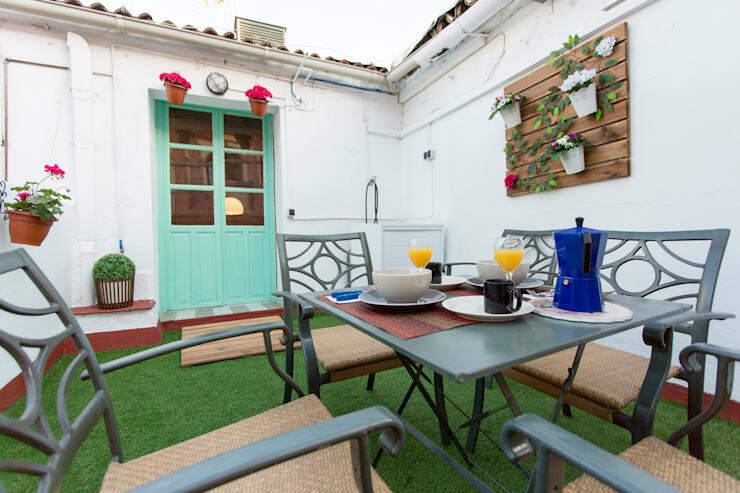 What we really like is the turquoise door and the wooden panel bearing wall mounted pots of plants. Also, the flowers, the royal blue jug and the sunny yellow refreshing drinks add vibrant touches to the space. 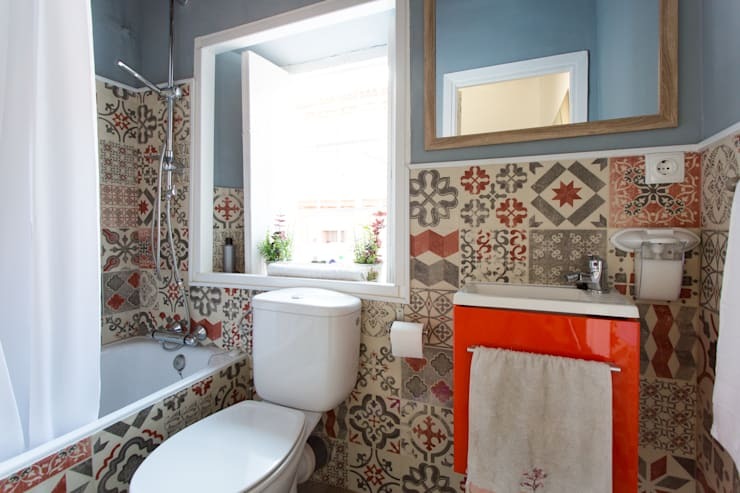 The bathroom now presents a bright design scheme with the beautiful patchwork of patterned tiles, which is the perfect canvas for the modish white fixtures. The sink counter is in a flaming orange hue which complements the tile pattern and brings out their vibrant quality, while the egg blue walls balance the entire effect perfectly. The bedroom is now a cosy space thanks to the plush white bedding that almost reaches the floor. 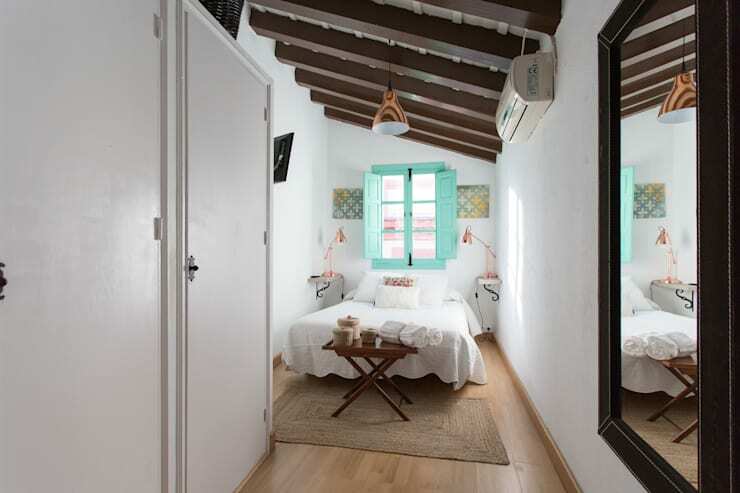 A quaint breakfast tray with a stand has been placed conveniently at the foot of the bed, while the windows have been painted a vibrant turquoise for a sunny look and feel. A mirror beckons you inside and the wardrobes now stand back and blend in with the walls due to the splash of white paint. This makes the room appear more spacious too. The main hall of the home is now a charming melange of subtle and peppy colours that come through the colourful details like the pink rug and the turquoise doors! A comfy couch, stylish recliner, and minimalistic but trendy dining arrangement spice up the aura of this space while chic lamps add a serene glow. The makeover of this once dreary and neglected apartment is almost incredible. Lively hues, smart furniture, and a trendy decor scheme have turned it into a joyous sanctuary for functional and tasteful living. For more ideas, go through another before and after story: The total transformation of a shabby home. What do you think of this vibrant home makeover?